As a mommy of two little boys, you can imagine how many cars we have in our home. My youngest son, who is 16 months old, is especially into cars! I am always looking for something different that he and his brother can both enjoy. So, of course when I was offered to review Manhattan Toys Motorworks toys I jumped at the chance. They just expanded their already award winning line to include the Fuel -N- Shine station and Slingshot Speed Launcher. We opted to receive the Fuel -N-Shine Station for review. This toy is recommended for ages 3+ so I make sure to play with my youngest when he is enjoying it. My oldest son who is almost 7 loves it as well! In fact, I am surprised to see how much he does love playing with it. I think he enjoys it so much because it allows him to use his imagination! He can put the car in the "shop" which he created with extra tires lying around. He can fill the car with the cash nozzles, and put it through the car wash that actually has rollers that spin. It is just a super fun play place for him, and I love the wooden design. Being a wooden play piece, I know that it is made to last and will not fall apart next week like some flimsy toys that are sold today! There are also 20 re-positional decals to have fun with as well! "All about effects, the Speed Series offers additional snap-fit accessories that take you from the street to the raceway! Customized to move, these vehicles feature accessories that evoke sleek, aerodynamic lines and the ability to shatter the speed limit! 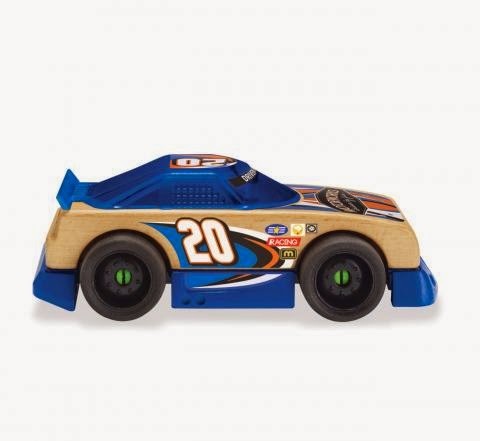 Includes 8 repositionable decals"
The NGX NextGen Stock 3.0 is fun as well! This car can transition from a street car to a speedster simply by removing the snap fit accessory. This car is made for speed, and my youngest has spent hours on his knees making racing sounds and having a blast with this! i like the speed series police cruiser!!! I'd like the play table! I think we would love the TPP SPORT TRUCK POWER PACK. Love the Tri Level Super Garage! I like the Turner Lift Station. 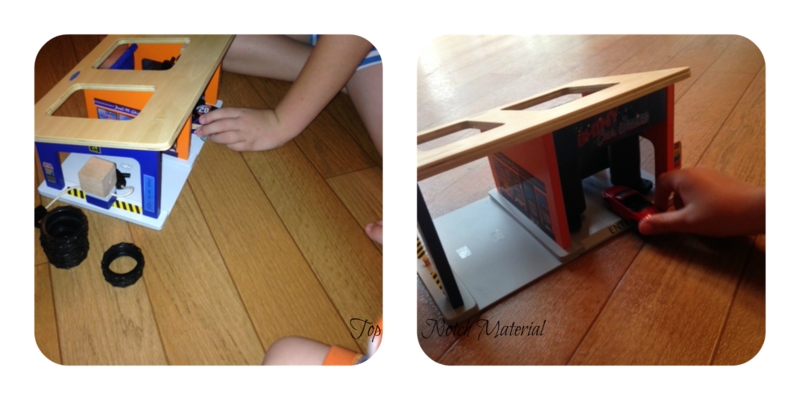 I would love to have the Motorworks Play Table for my little one. 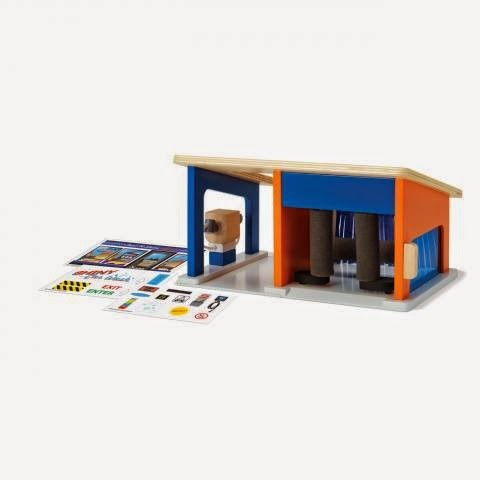 My son would love the Tri-Level Super Garage! The Slingshot Speed Launcher looks like something my boys would like. Hi! My grandson would love to have their FX Fire Chief 1.0. I love wooden toys! Thank-you for this giveaway! My nephew and grandson would love everything they make. I love the FSX Monster Truck 1.0! The FSX Monster truck is cool. The Baja Buggy & Trailer 3.0 is pretty nice. I like the STS Police Cruiser 1.0. My son would love it. the TR Convertible 3.0 is too cool! LOL! My nephew would love this! I also like the Motorworks Play Table. The Turner Lift Station is nice too. I would love to have the Monster Truck for my son. He loves them! I would love to have the TR Convertible 3.0™. baja buggy and trailer 3.0 looks super cute! My daughter would love the Imagine I Can Fairy Flower Find. I entered the Safety 1st carseat giveaway. The FSS Flairside Truck 1.0 would be awesome for my nephew. Thanks!